A 61-year-old retired military officer presented to a local hospital in the Midwest with flank pain and E. coli bacteremia. The following case was sent to us by Maj. Brendan M. Weiss, ACP Member, director of stem-cell transplantation, hematology/oncology service at Walter Reed Army Medical Center in Washington, D.C.
A 61-year-old retired military officer presented to a local hospital in the Midwest with flank pain and E. coli bacteremia. He had a history of chronic back pain and multiple spinal fusions. Laboratory testing demonstrated that he had elevated serum calcium ranging between 10.9 and 11.4. His albumin was 4.5. His physicians suspected multiple myeloma because of his bone pain and hypercalcemia. Both an SPEP and UPEP showed a trace IgA lambda spike. He had a decrease in his serum immunoglobulins: IgG of 463.4 (700-1600), IgA of 60.6 (70-400), and IgM of 33.3 (40-230). A bone marrow biopsy showed 35% plasma cells with normal cytogenetics 46, XY. The local physicians recommended a stem-cell transplant for the myeloma. The patient was skeptical of doctors in general and told his physicians that he did not believe he had myeloma, but he agreed to be evaluated at Walter Reed Army Medical Center. The laboratory testing from the local hospital showed a completely normal CBC, normal renal function with BUN of 12 and Cr of 0.9. The patient's phosphorus was slightly low at 2.4. A skeletal survey showed no lytic lesions. On the abdominal CT scan, Dr. Weiss noted a 4-mm calculus in the upper pole of the left kidney, adjacent to the renal abscess that was the presumed source of the E. coli bacteremia. The patient's medical history revealed that he had had another renal stone two years before. “It did not all seem to fit with multiple myeloma,” Dr. Weiss said. The local physicians, believing they had a clear diagnosis, were looking to Dr. Weiss to offer the patient a transplant protocol. But Dr. Weiss wondered whether putting the pieces of the puzzle together in another way would result in a different diagnosis. The absence of anemia, renal dysfunction and lytic lesions all caused him to consider other possibilities despite the abundance of plasma cells in the marrow biopsy. Dr. Weiss focused on the modest elevation in serum calcium, the slight decrease in serum phosphorus and the history of renal stones. Contrary to Ockham's razor—the time-honored principle of seeking a single cause to explain all the data—Dr. Weiss allowed for the possibility that several disorders were occurring simultaneously. He checked a serum PTH, and this was elevated at 156 (normal 15-65); PTH-rp was within normal limits at 3.1. “The PTH should be suppressed if the hypercalcemia is due to myeloma,” Dr. Weiss said, and “the PTH-rp should be elevated.” Dr. Weiss ordered a sestamibi scan and the results were clear, confirming significant uptake in a left inferior parathyroid gland (see figure). The patient had primary hyperparathyroidism and underwent parathyroidectomy. A parathyroid adenoma of 870 mg was found. Both the serum calcium and PTH levels returned to normal postoperatively. Dr. Weiss noted that the IgA lambda spike was only present in trace amounts. The other immunoglobulin levels were decreased, yet the patient had no history of recurrent infections. Without hypercalcemia, did this man require treatment for myeloma? Dr. Weiss repeated the bone marrow examination and confirmed the increase in clonal plasma cells. The patient was disappointed with this result. However, he was pleased to learn that he had what is termed “smoldering” myeloma. In the absence of anemia, renal dysfunction or bone lesions could be followed with regular clinical examination, blood tests and skeletal X-rays. What were the cognitive errors? What were the cognitive errors made by the local physicians? Two stand out. The first is called “premature closure,” meaning fixing on a single diagnosis without considering others that might be consistent with the findings. The bone marrow biopsy was indeed impressive with its increase in plasma cells, and the physicians interpreted the patient's back pain and hypercalcemia as indicative of myeloma although there were alternative explanations for both. The other cognitive trap is “confirmation bias.” All of us tend to “cherry pick” data, focusing on those findings that fit with our assumptions and rationalizing away the contradictory data as unimportant. In this case, the modest elevation in serum calcium, a slight decrease in serum phosphorus, the normal CBC, BUN, and Cr, the absence of abnormalities on skeletal survey, and the presence of a renal calculus did not raise any red flags in the doctors' minds. In contrast, Dr. Weiss found those very findings ruled out a classic diagnosis of multiple myeloma. As this case demonstrates, it's often easy for physicians to fall victim to another cognitive error, “diagnosis momentum,” an error that Dr. Weiss avoided. Once several doctors agree on a diagnosis, it is easy to perpetuate it rather than take the time to question its validity and seek out potentially contradictory data. Dr. Weiss recalled another patient who had been offered a stem-cell transplant for multiple myeloma at a major academic medical center. On careful review, it turned out that the patient actually had monoclonal gammopathy of undetermined significance (MGUS). 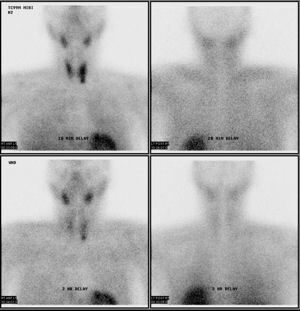 It is interesting to speculate how the case might have been handled if the diagnosis of hyperparathyroidism had been made first, based on an elevated calcium and parathyroid hormone levels. In this scenario, the diagnosis of a plasma cell disorder would likely not have been made, given the lack of anemia and normal renal function. On reviewing the medical literature, Dr. Weiss found that in a prospective series of 101 patients (Arch Intern Med. 2002 Feb 25; 162(4):464) referred for parathyroid surgery for hyperparathyroidism, 10% had plasma cell disorders (8 MGUS and 2 myeloma). The common aphorism “hindsight is 20-20” reminds us how easy it is to see in retrospect what was before our eyes. The challenge to physicians, of course, is to be clear-eyed in the present moment. Seeking what does not fit, rearranging the pieces into a different picture, takes time and effort, but is both the challenge and joy of clinical medicine. Jerome Groopman, FACP, a hematologist/oncologist and author of the bestselling How Doctors Think, and endocrinologist Pamela Hartzband, FACP, are on the Harvard Medical School faculty. 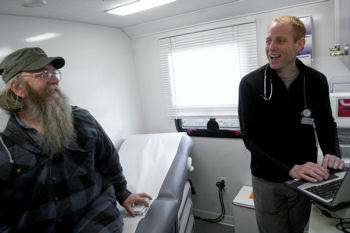 They also serve as staff physicians at Boston's Beth Israel Deaconess Medical Center, where Dr. Hartzband co-directs the internal medicine subinternship program. Email us your comments on this case.